“Every who down in Whoville liked Christmas a lot. But the grinch who lived just north of Whoville did not. 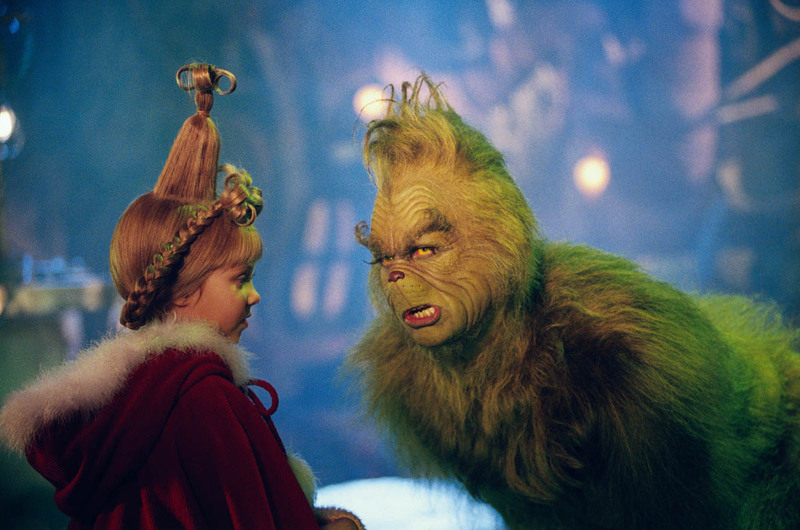 The grinch hated Christmas, the whole Christmas season. Now please don't ask why. No one quite knows the reason. It may be his head wasn't screwed on quite right. It may be his shoes were a little too tight. I suppose many of you have heard of Dr Seuss' Grinch who stole Christmas. For those of you who have an allergy to reading (and not just children’s books), you can check out the cartoon version that was produced back in the 1990s or the movie version, starring the ever energetic Jim Carrey. So, what was the Grinch’s problem? His heart? His shoes? Or just his plain innate nastiness? Or did he perhaps just find the joy of the Christmas season itself a little too exhausting? Let’s be honest, if you take the trouble to think about it, it does take a great deal of energy to be joyful. The Advent and Christmas Seasons are tough. Why? Because the “commercial pressure” to be happy is so immense and so intense. Just attempting to freeze a smile may lead to a lock jaw. Being a pathological introvert who enjoys my quiet moments away from the crowd, seeing the euphoric exuberance of others can indeed be quite draining. How many of you have ever been truly happy? Happy to the point where your face hurts from smiling or your stomach from laughing; happy to the point that tears run down your face; true bliss from whatever you’re experiencing at the moment. Moments like these are rare and when they do come, it is often fleeting. When the euphoria passes, it's back to the humdrum monotony of life. We know of so many who are hurting in this world. We too may be hurting. So many of us struggle with anxiety and depression, financial burdens, some have lost their loved ones, and a growing number who suffer loneliness, with no family or friend to console us. How could we possibly be happy or joyful with this dark cloud looming over our heads? We don’t know how John reacted to Jesus’ response, but I imagine that he was filled with joy again when he heard enumerated on the lips of his friends, the miracles that Jesus was performing. After a life consumed with seeking "the one who is to come," he knows, not only has his search not been in vain, but that, he has indeed prepared the way for the Messiah. Joy is born, not from pretending everything is fine but from holding both hope and truth together. Joy is the affirmation that there is a Truth truer than any trouble or affliction, the Truth that Love wins. It is the joy of experiencing the faithfulness of God, the calm confidence in His Providence and the pure delight in knowing that He loves us. No matter how bad things may seem, no matter how reality falls short of our expectations, no matter how dark the situation may appear, we are confident of the victory won by Jesus Christ. Thus, Christian joy is a joy that springs from hope, a hope in a God that will never renege on His promises, a hope in the resurrection which conquers our ancient enemy Death, a hope in a transfigured creation, a New Earth and a New Heaven, where the weary hands will be strengthened, the trembling knees steadied and the faint hearts lifted up. We hope for the Day when “the eyes of the blind shall be opened, the ears of the deaf unsealed, then the lame shall leap like a deer and the tongues of the dumb sing for joy.” Our Christian joy is not the result of mere good fortune or the absence of troubles, but is always born of the hope that the Lord is coming and He will make all things well. The Good News is that the Lord indeed has come. This is what Christmas is all about and what we hope Christ will accomplish at His Second Coming. The joy of the Lord is rooted in the now and the not-yet of the Kingdom of God. For those struggling with depression, despair and the confusion that comes from living in troubled times, these texts have a lot to tell us. I will not deceive you. We can expect to encounter more moments of darkness, delusion and doubt on our journey. But that is not all that we can expect. The Church and her liturgy, however, refuse to allow us to crawl into our Grinch hole to mope about the tragedies of life or to insulate ourselves from future troubles. Today, the Church reminds us that we are made for joy. This is affirmed right at the very beginning of our Holy Father’s Apostolic Exhortation, “The Joy of the Gospel.”: “The joy of the Gospel fills the hearts and lives of all who encounter Jesus… With Christ joy is constantly born anew.” Joy, therefore, is the fruit of a genuine encounter with Jesus Christ. Joy is knowing that even the nastiest Grinch can be transformed into the most generous-hearted and joyful person, when he allows the encounter with Christ to cast out the darkness from within his soul. Advent invites us to broaden our vision of faith and hope. This will be our true source of joy – knowing that God’s thoughts will always be above ours and His ways will always be far better than any effort we can muster. It is a joy that can only come in trusting in a God that will always exceed our expectations! Happy is the man who does not lose faith in Him!